The BTMI team will be attending the Frankfurt Musikmesse again this year (April 5-8, 2017), but this time our presence will be complimented by the team from nkoda. For the uninitiated, nkoda is bringing to market a digital sheet music streaming service which will give access to complete catalogues of major publishers, much of which has never been available from a legitimate source in digital format before. Not only that, they have some pretty amazing tech that can transform scanned PDFs into a form that will make them suitable for any resolution digital device. (If you want to read more about this, click here to see a message I sent to my emREADER mail list subscribers last year). BTMI and nkoda are working closely together to make sure that the transition from print to digital is a smooth ride for both publisher and consumer. Coming to Frankfurt? Contact us to arrange to an appointment because we would love to see you and provide you with a personal brief of all of the exciting developments. 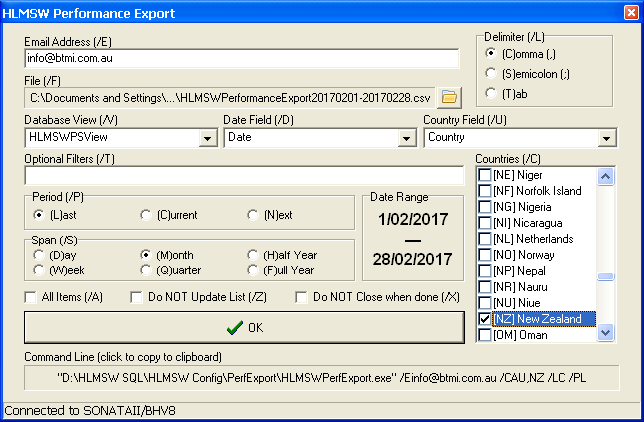 As good as this is, I was asked a number of times how it may be possible to automate the creation of these export files, and to this end we have bundled a new utility with the imaginative name HLMSW Performance Export with the most recent version of the Configuration editor which does just that. Not that you need to know this,. Just click on the Command Line box to get the text you need to insert into your batch file or scheduled task. Selecting performances in the past would be the normal practice for the collection societies, and future performances are what promotion departments and calendar feeds need. One important feature of this list is that whenever it is generated, the performances are checked to make sure that any changes to the performance details are included in the exports. It is even possible to change what information is exported, but that will probably require a little assistance from us. 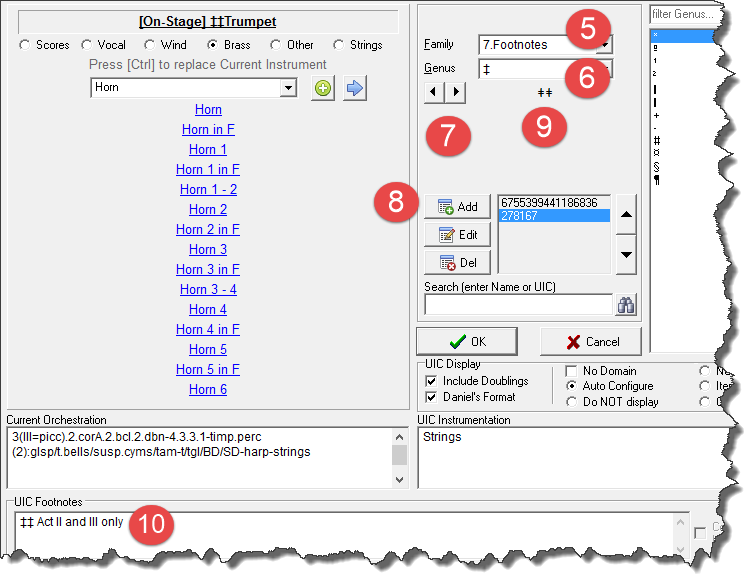 The UIC is growing little by little every day, and one of the most complicated parts of the database maintenance regime is to fulfil the underlying concept that every instrument should only have one UIC. To give you a glimpse of the complexity of the process, we recently were asked to include an instrument called String Drum which can be either a percussion instrument (with the alternate name Lion’s Roar) or a type of Zither (use to describe a type of psaltery) and so more information was required. To avoid this confusion, in the UIC we named the instrument Lion’s Roar, and provided String Drum as an alternate name. Interestingly if you look at some other common names for the same instrument: Löwengebrull, tambour à cordes and rugghio di leone, they also switch between the reference of a Lion and a Drum and so the confusion is not just a English problem. There is also my often quoted example of the Tenor Horn, which is also known in some parts as an Alto Horn, or perhaps an E♭ Horn – you can choose whatever name you like, they are all correct but confusing all the same (in the UIC we decided to include BOTH an Alto Horn and a Tenor Horn, because there was some evidence that it could describe a different instrument in some cases). The challenge to maintain the integrity of the UIC list means that from time to time we will need to make changes to a UIC (to remove a duplicate entry or change an existing one) and so we recently added a new Errata table to the service to control this process. 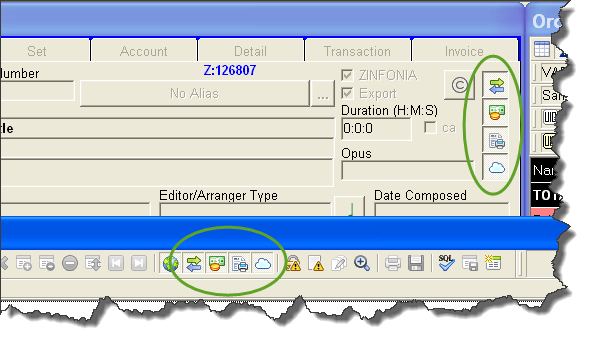 For HLMSW users, when a change to the UIC is required, the B2B interface will automatically and transparently keep your data in synch with the Global UIC lists. There are also plans to hand over the management of the UIC to a select group of musicologists and librarians to ensure that the resource continues to expand to meet the requirements of all who use it. Interested to participate? Please let us know. A new feature of HLMSW coming in the next release tackles the problem surrounding the extended use of HLMSW to manage much more than just hire/rental material. Every title in HLMSW can now have any or all of these flags set according to the content. 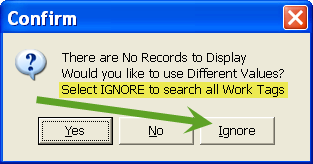 It is also possible to easily show or hide the different types in any Work Browse using the buttons provided. You can change your browses so that only particular types are displayed first (using the new WTYPE field), but you can always override this while you are searching. The tag values can only be edited by administrators and users with the permission Edit Defaults from the same company that owns the title. When the updated is installed, all records will be initially marked Hire/Rent. A new and important update to HLMSW (Build 8.0.5.12) has been release today. This version addresses some issues related to email creation and sending particularly with extended characters and some email attachments being ignored by some mail servers (particularly Outlook/Exchange). It is recommended that ALL users contact BTMI to organise an upgrade to this version as soon as possible. 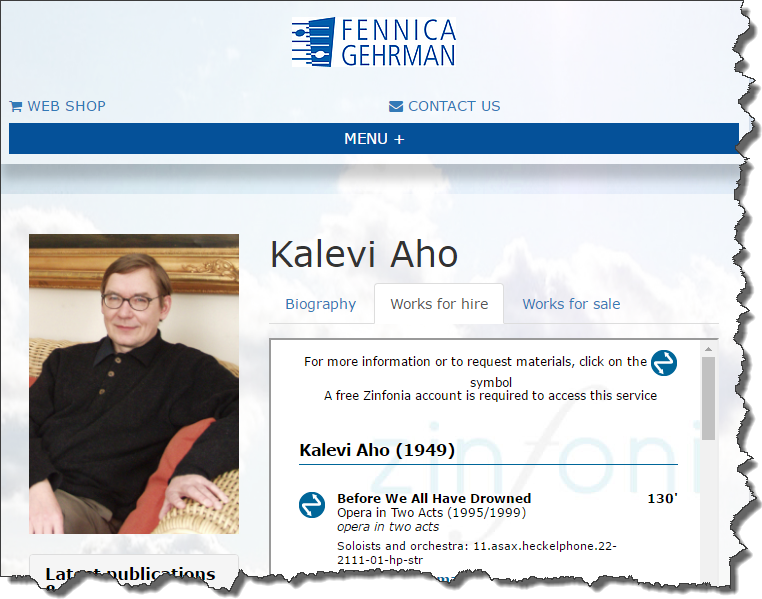 Finnish publisher Fennica Gehrman recently released a new-look responsive website which showcases some of the possibilities of embedding Zinfonia searches to provide up to date information for their catalogues. All of the Works for Hire links for every composer is drawn directly from Zinfonia, and the Hire Catalogue can be searched directly from within their webpages. 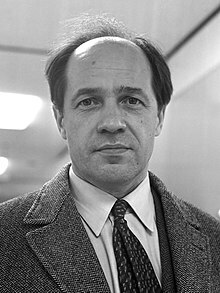 See http://www.fennicagehrman.fi/ for more information. BTMI will be working sporadically throughout this time and will be based in London for the first 2 weeks of January for discussions with nkoda on the digital future. Normal service should resume mid-January. From Steffen, Joanne and myself, we would like to take this opportunity to thank you all for your custom in what has been a huge year for BTMI. We hope that you all have a safe and happy holiday and we look forward to working with you again in 2017. One important new feature with the introduction of the UIC is the concept of Instrumental footnotes. 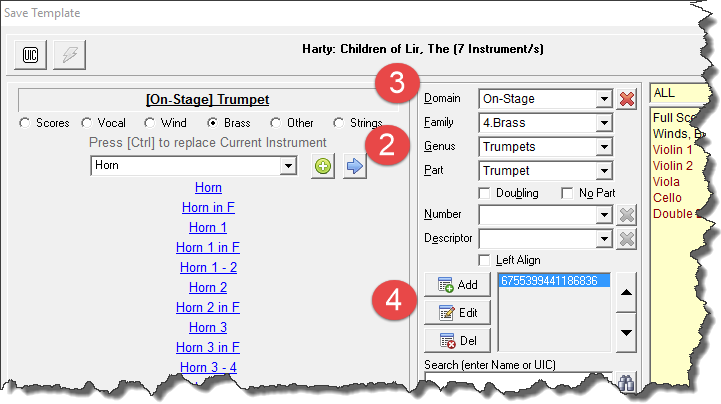 Footnotes are useful for textual descriptions that supplement the UIC to indicate special requirements, to list actual percussion or some other requirement important to that part/player. For example, if you wanted to indicate that the Offstage Trumpet is only required in Act 3, it is not really possible to this any other way than with a footnote. Note: It is important that you cannot add a Footnote as the first item in a UIC – you MUST enter an instrument first. 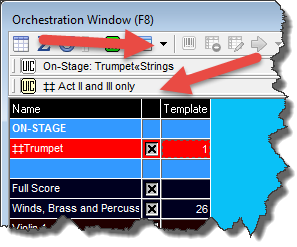 Footnotes are visible on the orchestration window via the Show information button, and you can nominate whether or not this information is printed on any form. As footnotes cannot be translated, it is recommended to always include English text.